Well, the bucks won out this year – I didn’t get one. And I have to say, I sure put in my time this season – I don’t think I missed more than a handful of days during the whole bow-gun season! I even feverishly hunted the last few days in sub-zero weather with wind chills down to -30 below. ‘Feverishly’ is only a figure of speech because I didn’t have an ounce of heat left in my body most of those days after hunting. Many smaller and spike bucks made their way past my stand this season but I left them alone. By all rights, I guess I could of shot one, but I just couldn’t bring myself to do it. Maybe one of these will turn out to be the ‘big one’ in a few years or so. I’ll be glad I waited! The bigger bucks are around; we’ve seen several on trail-cam, but they are smart enough to come out only at night. I’ve seen an awful lot of really nice does this year so I hope this winter is kind to them as they grow the next batch of fawns. I’ve really enjoyed the hunting though – and can’t wait for next season, but for now, all the equipment is put away as I move deeper into January here in Hayward. Time for a little ice fishing and snowshoeing to finish out the winter. My boots are awesome, 1000 grams of Thinsulate, and for the most part work great with my wool socks. I also have a good pair of Muck boots, but rubber just is not as warm no matter how you do it. Since its been so brutally cold, I’ve had to rely on those disposable, stick-on warmers to keep my toes from breaking off after extended hours in sub-zero temps. I am very disappointed at the manufacturers of these – they are so small, I wonder who has a toe line that small other than a kid? If you stick them on your socks in the position that seems obvious, they only warm your big toe. Its as if the manufacturers think you don’t need the other four toes. I’ve had to turn the thing sideways to try to cover most of my toes. 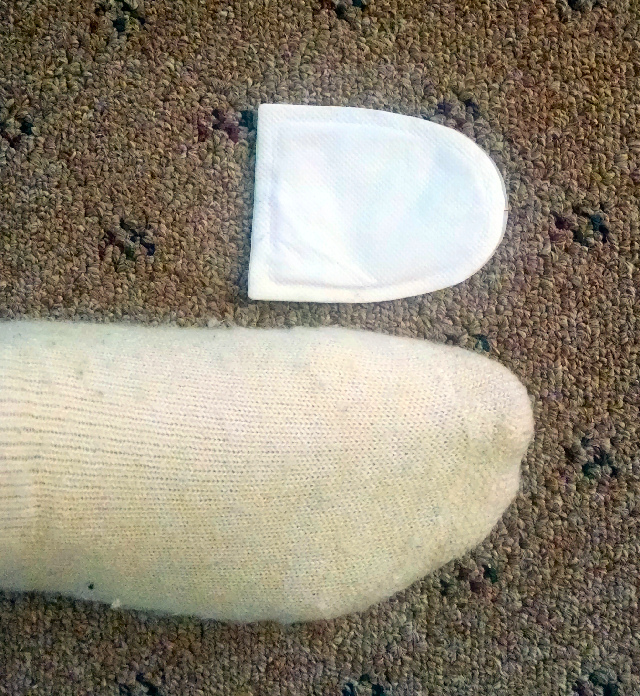 I’ll be looking for a good pair of electric socks for next hunting season and will appreciate any recommendations – I don’t want to be ripped off by buying those disposable toe warmers made for kids’ feet, next season. This entry was posted in Hunting, NORTHWOODS LIFE and tagged bow hunting hayward wi, cathy lareau, Deer hunting, deer hunting hayward wi, foot warmers for hunting, hunting clothes, toe warmers for hunting. Bookmark the permalink.